We know you don't like down time, so we manage our capacity to enable quick turnaround engineering changes & repairs on all molds, including those designed and built elsewhere. 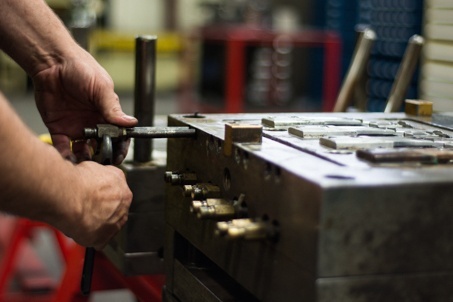 Our team of craftsmen is highly experienced in every phase of precision mold tooling, plastic injection mold repair, custom plate machining and precision weldments. With 45,000 square feet, our state-of-the-art facility in includes the latest five-axis boring mills, high-speed CNC machining centers, wire and conventional EDMs. Customers value our commitment to fast engineering changes and plastic mold repairs. The mold looks very good. The workmanship and finish is good.